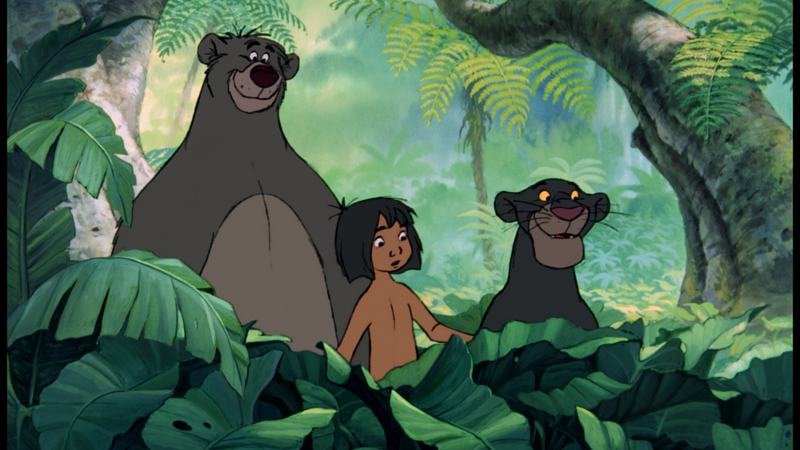 In preparation for the 2016 remake, we revisit the world of the the 1967 classic “The Jungle Book”. 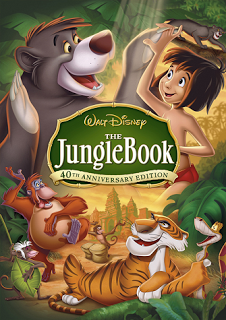 The Jungle Book is the story of a boy raised by wolves, who then needs to be convinced to leave the jungle due to a human hating tiger coming back into the area. I'm trying to figure out whether it is the story that I don't care for or, if it is the execution that I don't like. The overall plot is basically Bagheera trying to convince Mowgli that he needs to leave the jungle for his own good. In the end he does leave on his own accord. The issue may lie in lack of character development and pacing though. 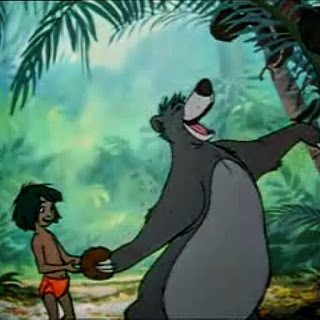 There are a lot of supporting characters but besides Bagheera and Baloo there is little to no reason to like or dislike them. 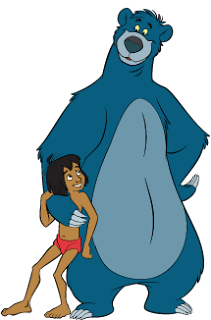 King Louie (orangutan) is one of the better developed antagonists of the film but the film gives you very little reason to dislike him besides trying to use Mowgli to learn the secret of fire. Kaa the snake is also a pretty boring antagonist as in he just looking for lunch. 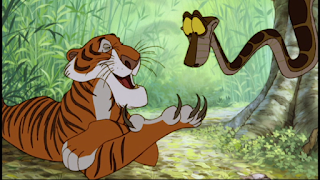 Sheer Khan (The Tiger) is the main antagonist of the film and his background is the same as Kaa's, which is just as boring. In the original book Sheer Khan had a reason for disliking humans but it wasn't explained in this film. In traditional Disney fashion, the music is what drives and keeps you connected to the film. Like I stated is our previous Disney film review there are 2 kinds of good Disney movies. 1: Where Disney uses catchy tunes to drive the movie, and 2: Where they use a moving score to drive the film. There are rare occasions where both of these apply, but usually one of them are present. This one is easily the catchy tunes one. If it wasn't for songs like “Bear Necessities” and “I wanna be like you” this movie would lack all Disney magic. Also in typical Disney fashion the voice acting was on point. While the film does look like it has aged, keep in mind that this film was made 49 years ago. Now compare it to Non-Disney films of the late 80s early 90s and you will be surprised how great the film looks. Don't believe me? Compare the animation to “All Dogs go to heaven” which came out in 1989. Not that these 2 films are made 22 years apart... That is Disney magic at work. I was never really a huge fan of this film even as a kid, but its nice to see it every once in a blue, to enjoy the “Bear Necessities”. Right now this film is holding a 86% on rotten tomatoes. Overall I have to say that The Jungle book is a decent film. Its not the best of the Disney Films, I wouldn't even put it on my top 10 but, I would in my top 20. I'm really interested to see what they are going to do with the 2016 Remake. I can't see it being a musical so I'm guessing it will be more of a story driven film. This may fix all the things I didn't like about the original but may hamper what I did. I don't know.... We'll see when the film Releases Friday April 15.